Users can get frustrated and use your app less if getting the information they need requires too much jumping around. They want it to be as easy as possible to get what they need and then continue with their day. 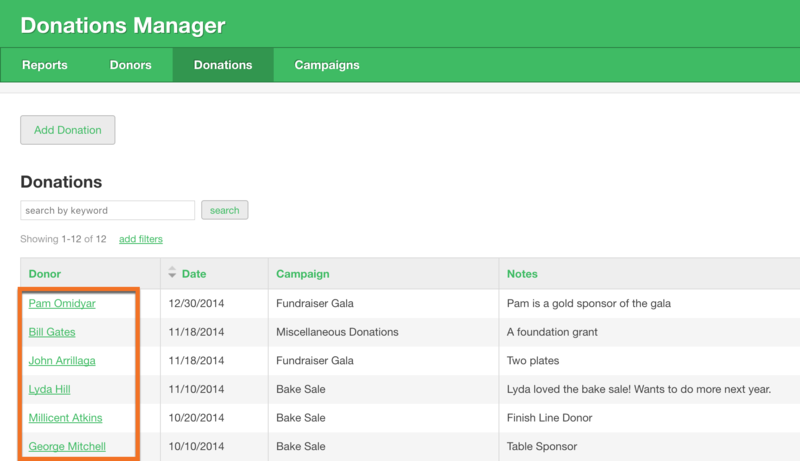 Our users would love if they could click on the Donor name on the table to find out more about a specific donor. Otherwise, they need to first navigate to the Donors page and then search for the Donor to see their details. It may not seem like a lot of extra steps, but when you have to do that daily, it can be irritating. 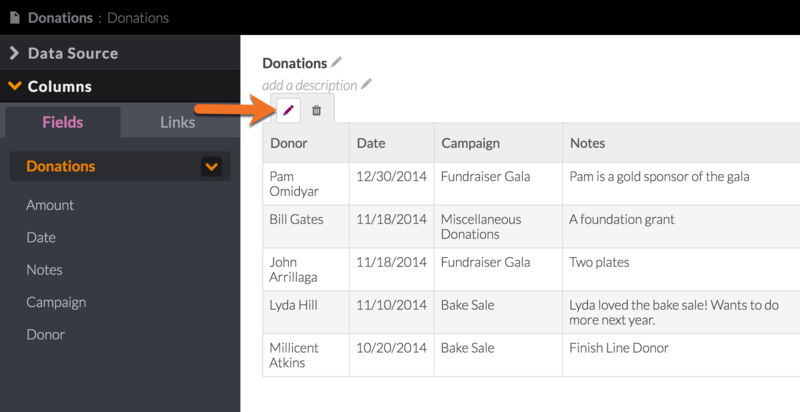 So we’re going to use Value Links to make the donor names clickable and send users directly to the donor’s details page. In the Pages section of the builder, select the page that holds the table or details view you want to add value links to. Click on the view on that page to open the editor. Note: In order to add a value link to your connection field, you must first ensure that there is a page in your app that uses the same source object as your connection field. Only existing pages associated with this field will be available to select from the Value Link option. In this example, Donor is a connection field in the Donations object. 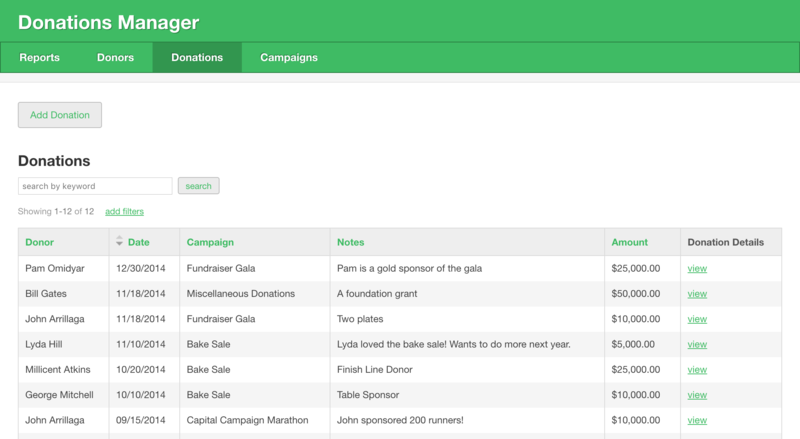 Since there is already an existing page in the app that shows details for each donor, you can add a value link to the Donor connection field that links to that details page.